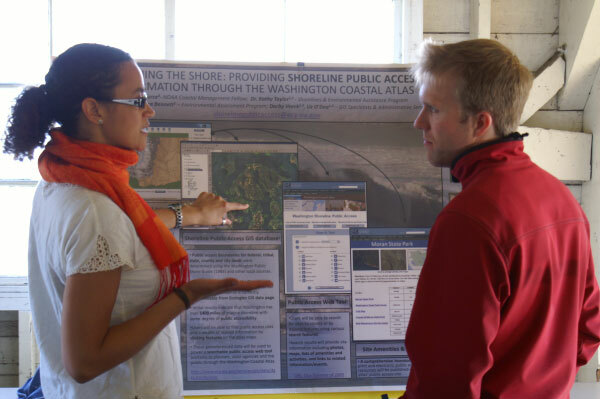 COSEE Ocean Learning Communities (OLC) has worked on various formats to bring in ocean and marine scientists to present their research to public audiences. Examples of three of these settings are highlighted below. 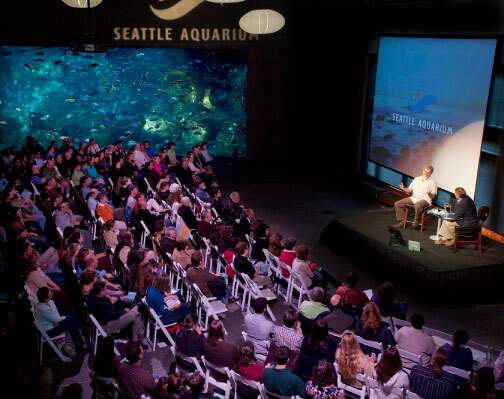 Sound Conversations is a speaker series lead by Seattle Aquarium and supported by COSEE OLC and Seattle NBC affiliate King 5. The series is targeted to the general public as a way to introduce and inform citizens about science and research related to the health of the world’s ocean and marine life. The series format uses an informal interview-like approach to engage the speaker in a conversation about their career, research and interests. Each session in the series is moderated by Jeff Renner a King 5 meteorologist who not only engages the scientist but also the audience in an informal conversation. Examples of speakers and topics include: Philippe Cousteau, Continuing a Legacy: Conservation Education for the 21st Century; Brady Barr, Octopus, Squid and Sharks, Oh My! ; Rick Keil, Spicing Up the Waterways of Puget Sound; Kristin Laidre, Artic Marine Mammals and Climate Change; Daniel Beltrá, “Spill”- Images from the Gulf; Fritz Stahr, Underwater Vehicles for Ocean Exploration; Elliott Norse, Assembling a Portfolio of Places to Save Marine Life; and Ginger Armbrust, Marine Plankton: Tiny Creatures with a Powerful Impact. 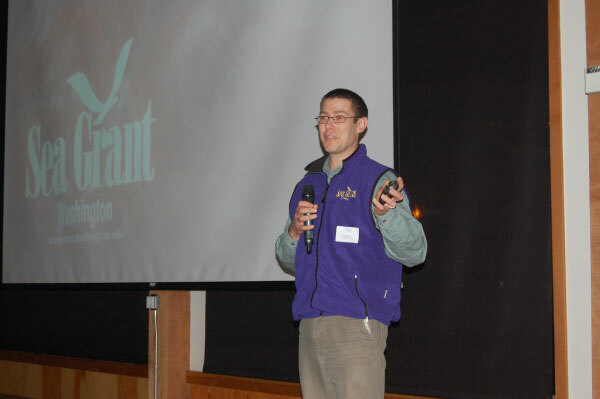 COSEE OLC introduced using a Lightning Talks format as another way for engaging scientists with public audiences. 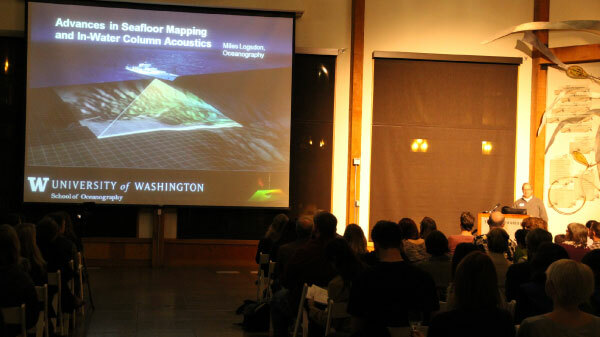 Held in the evening at Seattle Aquarium, a lightning talk is a short presentation and unlike other presentations, lightning talks last only a few minutes (we used a 5 minute format) and several are delivered in a single period by different speakers (usually between 10- 15 talks). 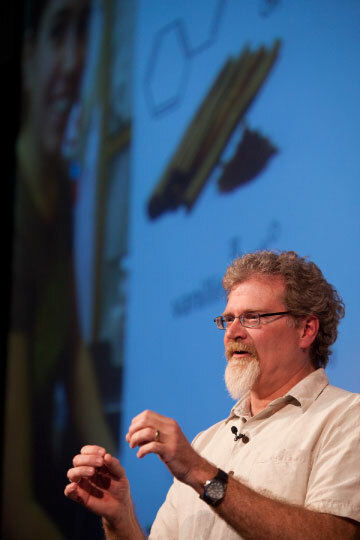 In order to allow rapid changes between speakers, slides are on a single computer running a presentation program used by all speakers. The question and answer is period is saved to the end after all speakers have finished. The talks have a moderator who introduces the speakers and helps set the pace. To bring some levity to the program we used dramatic music to designate when the speaker’s time is up. The program concluded with a question and answer reception where each speaker was assigned spot for ease of guests to engage with them. We learned via feedback from speakers and audience that they enjoyed the format and like learning about a diversity of research topics in a short period of time. See attachments for speakers and topics. 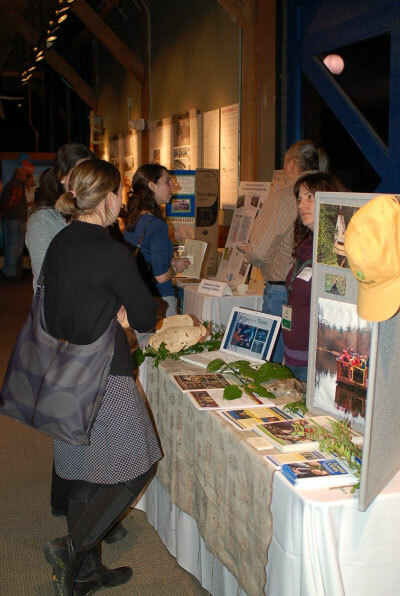 Over several years COSEE OLC has worked with many regional and local marine based outreach organizations, which we refer to as the Marine Volunteer Community – MVC, in Puget Sound to provide them with opportunities to become informed about ocean, marine and learning science; engage with scientists; and network amongst themselves. 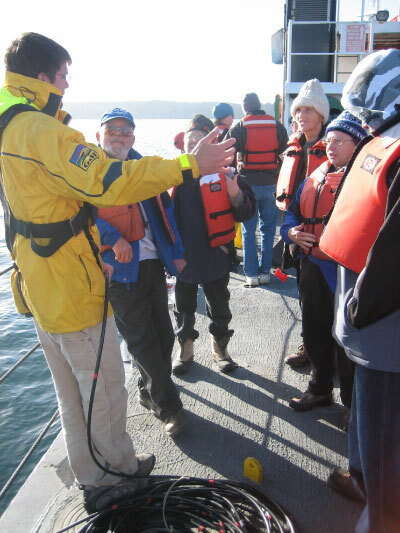 The Puget Sound region is unique with thousands of volunteers who actively donate their time to marine based education and outreach. Through workshops, science events, presentations, and other outreach programs we were able to bring organizations and scientists together. This type of community building was a first for the Puget Sound region. 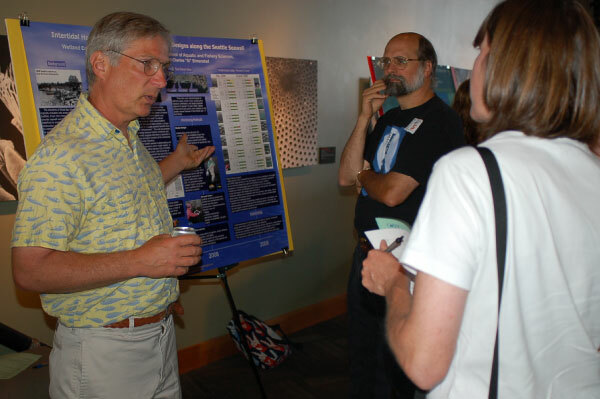 Through evaluations and anecdotal stories we learned of an unexpected ripple effect where the marine and ocean science content shared by the scientists was taken in by the MVC and then shared with the thousands of citizens they engage with annually. 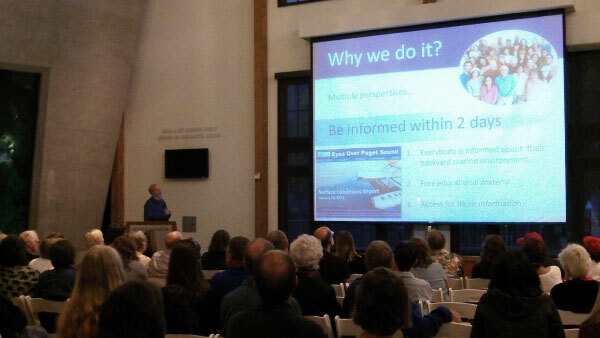 It’s been a great method for creating a more ocean literate public. 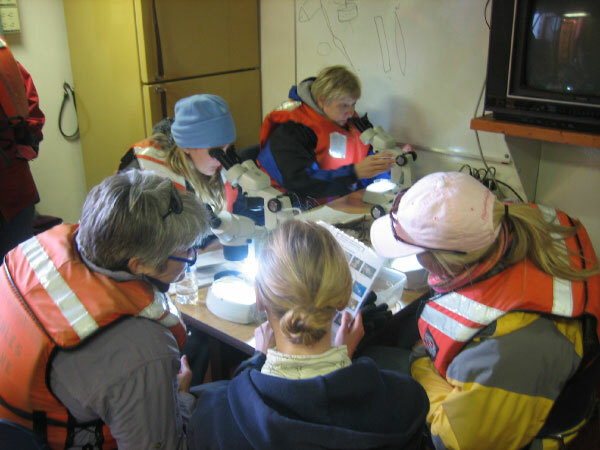 COSEE Ocean Learning Communities has built a community of scientists, marine volunteer organizations, formal and informal educators and interested citizens to form an ocean learning community. 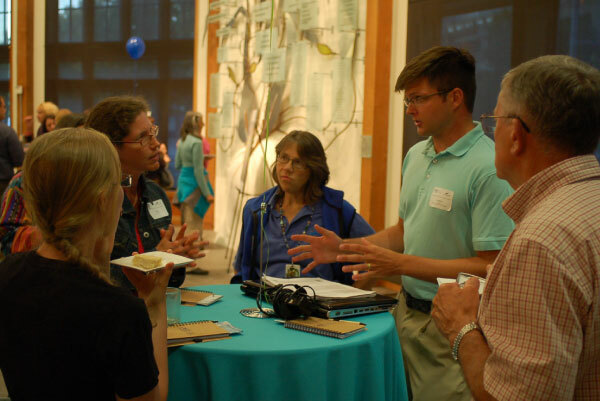 Join the community and get help with science outreach, request a scientist to speak to your organization or classroom, learn abut current ocean and marine science, or how to connect with other program leaders, volunteers and educators to to learn more about your ocean community.